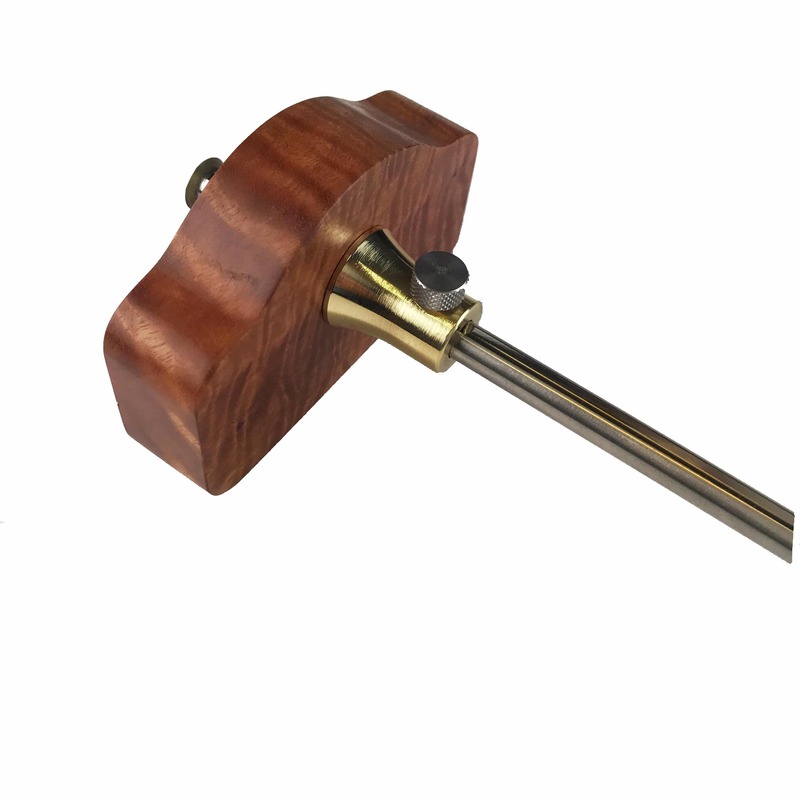 The Henry Eckert Marking Gauge – Regular is our simplest gauge. It is the same as our other gauge except it does not have Micro Adjust. 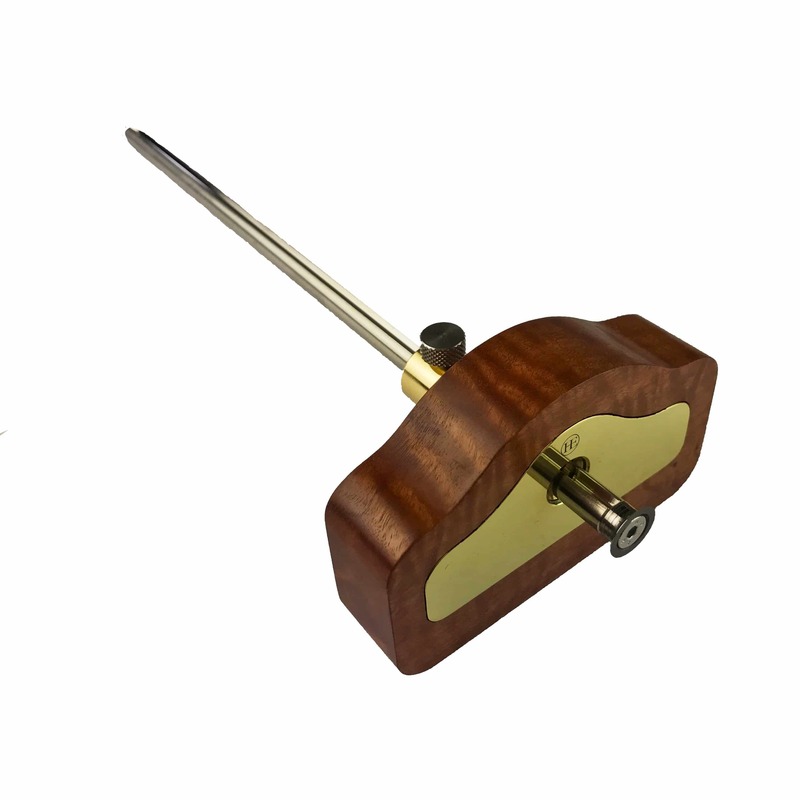 To set this gauge you simply slide the rod through the fence to where the blades (s) or pencil needs to be and then lock it down with the single stainless steel thumbscrew. 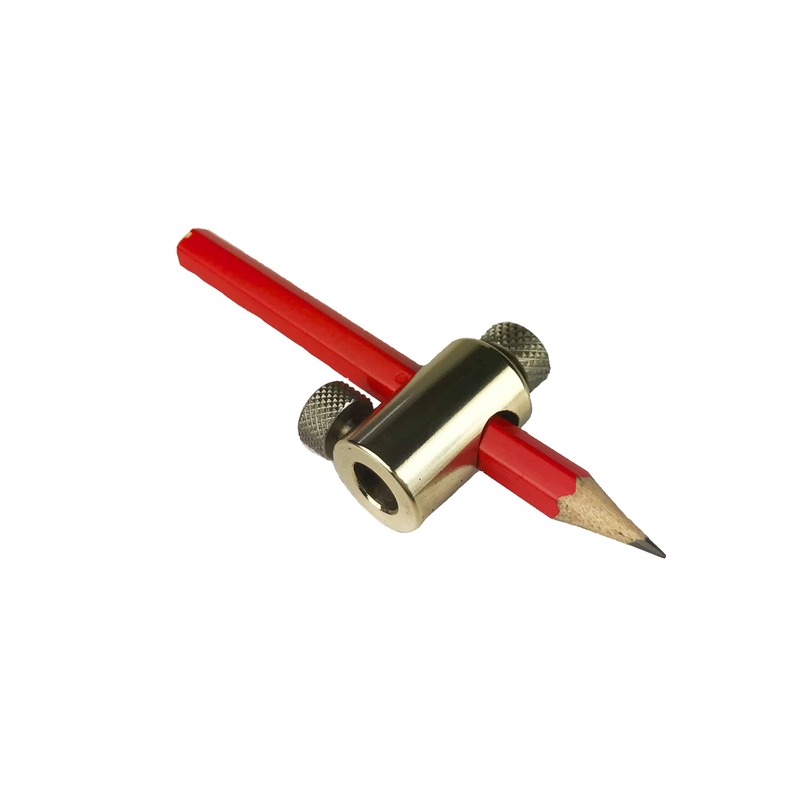 The solid feel and heft of the tool ensures your blade stays on track for the perfect straight line. You are in control. The fence is figured Mana Gum and brass wear insert, the rod is marine grade stainless steel and the blade is our PMA11V Powdered Metallurgy Tool Steel. The fence is 90mm wide, 57mm high & around 22mm thick. The rod is 230mm long. Is delivered in a solid 1400 Fibreboard box with a six compartment segmented tray for accessories. 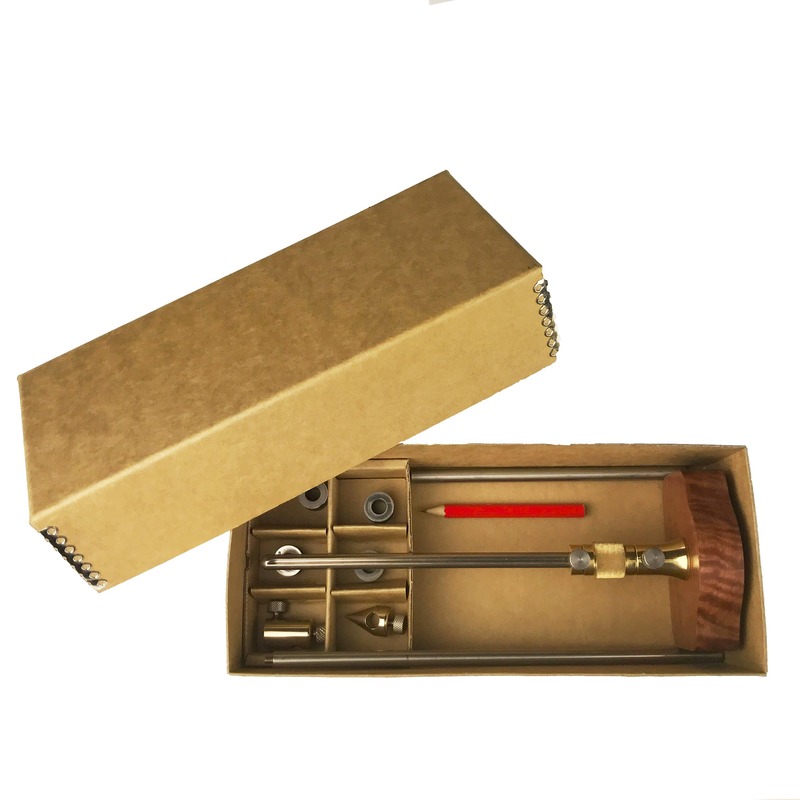 Accessories transform the Henry Eckert Marking/Cutting Gauge into a Pencil Gauge, Mortise Gauge, Panel Gauge, Beam Compass and Trammel Gauge.